gmen97 and Howard Beale like this. Cool piece enjoy it. 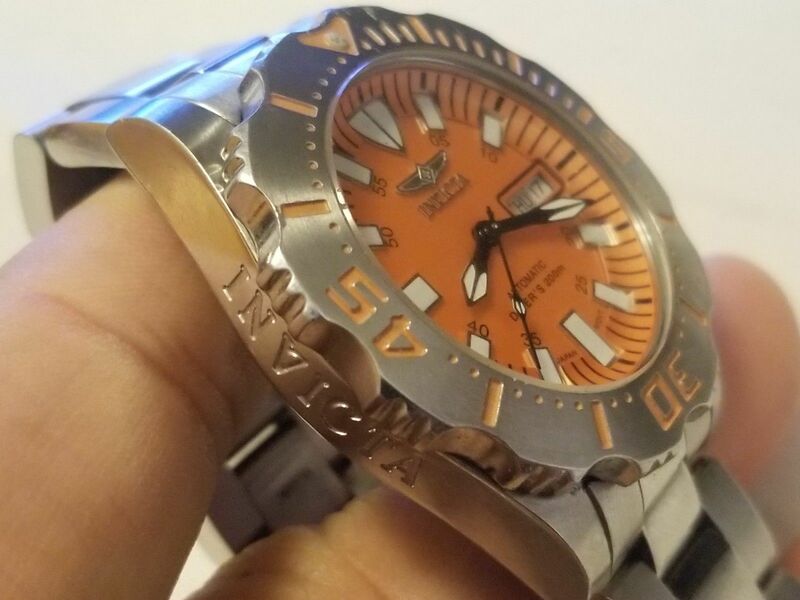 I'm kind of looking for an orange dialed diver myself. That's a neat one with the matching bezel. You sure that isn't on of Eyals "Frankenmonsters"? 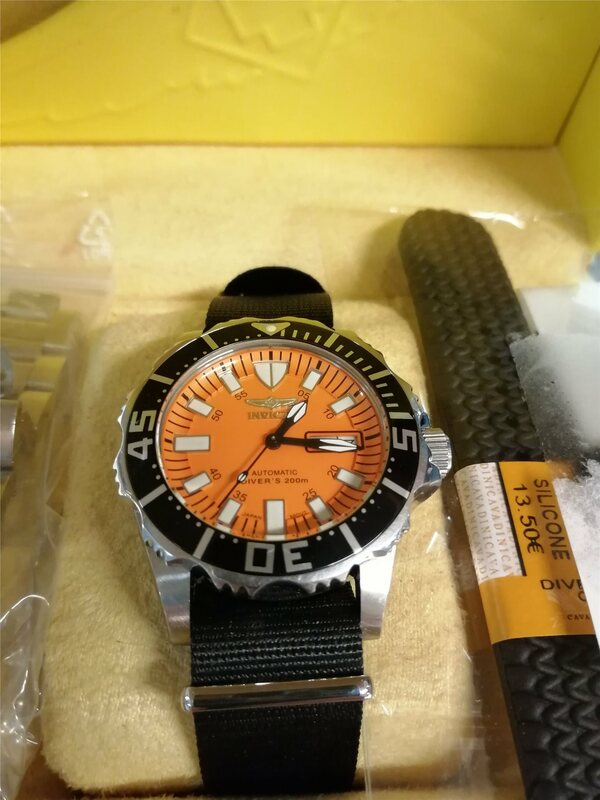 rising prices of the SKX007, 007 and SKX781? day of 7S26. Now the Monsters have 6R15's. Wow!!! Haha Thanks Lou! 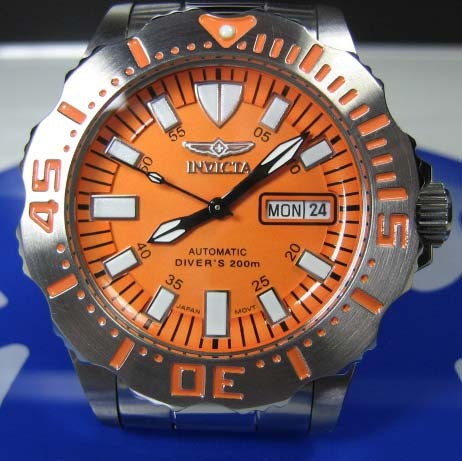 No this is an Invicta 2615 not sure when the stopped making them. like the Monster, they still change things up in the coolest ways really. numbers with orange?! ..Even the orange itself seems darker ! Big congrats there 2 U on this one Truetone !!! And you say Eyal Loya 86'd this OM "Homage"? 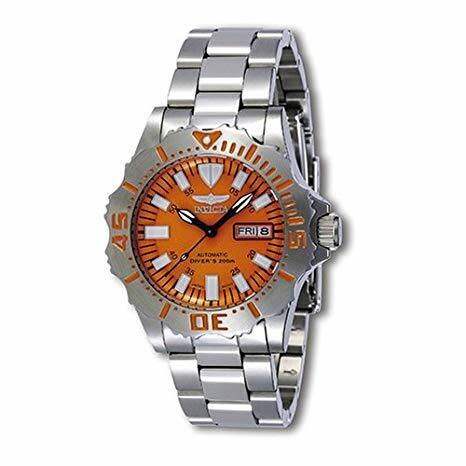 engine (Chrono) the best Victer I ever owned. Even Invicter gets it right sometimes!!! You are very welcome Truetone ! ..Hope you are really enjoying it ! Now you dunnit. Got me beating the bushes for a 2615. 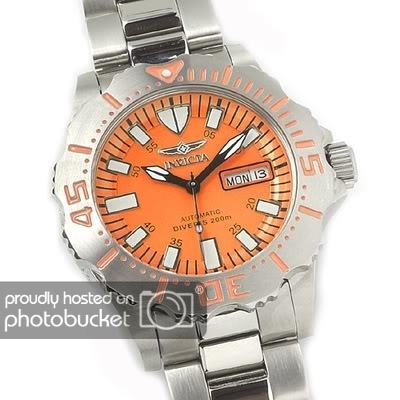 Wonder if EBay or WatchRecon has one o these pieces? Thanks Lou, the 2615 has a Miyota movement. 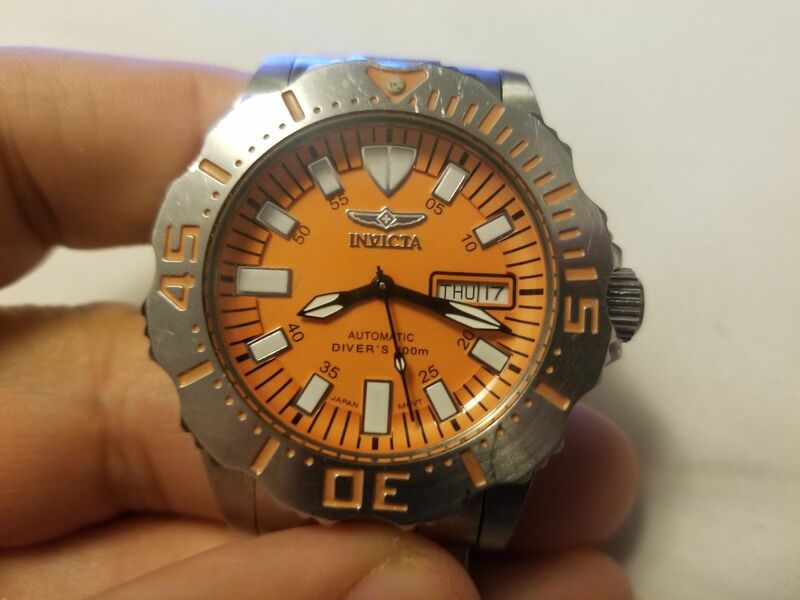 I think Invicta made these from around 2004-2007. They also made a 2614 with a black bezel. I got my watch in the mail today. 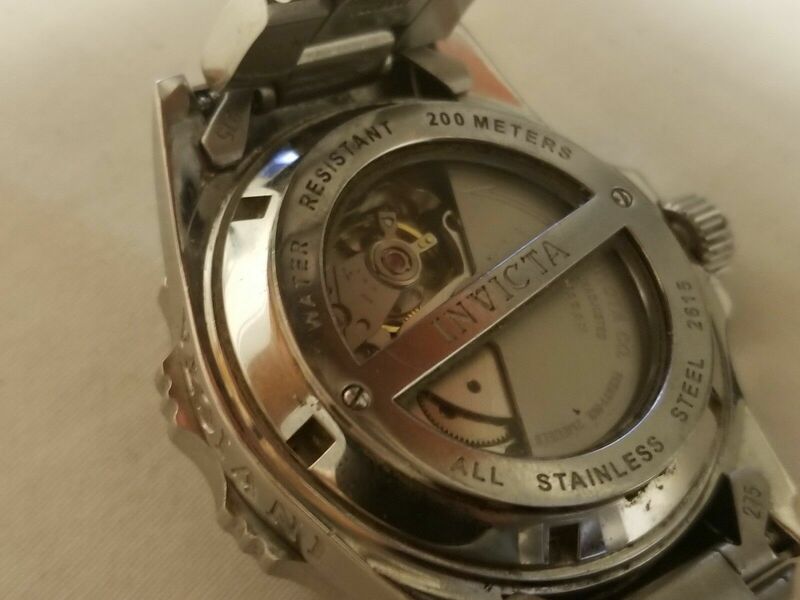 I always liked the older Invicta Models. Seemed like at that time they were just stealing design but making them decently instead of stealing designs and making them cheaply. the bezel, and bracelet. ..It's too cool True ! Huge congrats 2 U !!! Hope you really enjoy it ! After seeing your orange monster I can say Orange is the new black, you really got a couple of gems. Last edited by Truetone; 04-07-2019 at 03:07 PM. 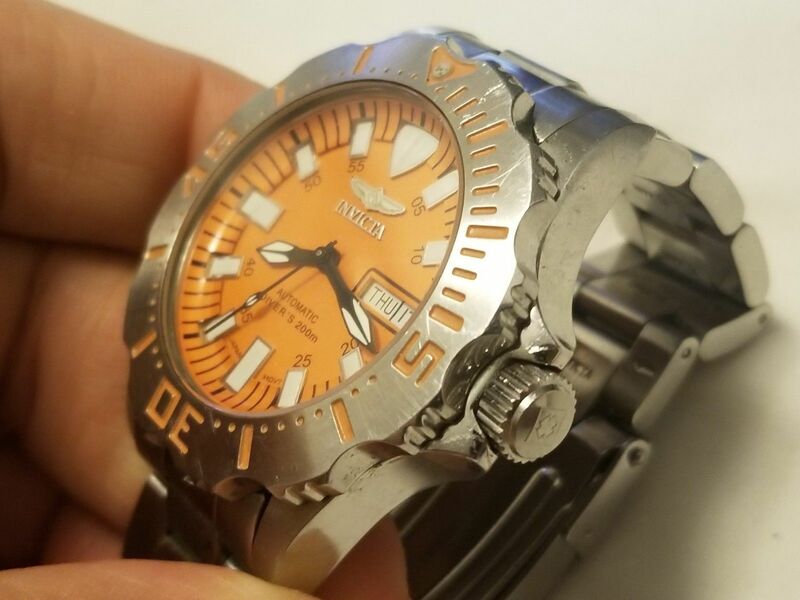 Which Miyota movement is in this watch? 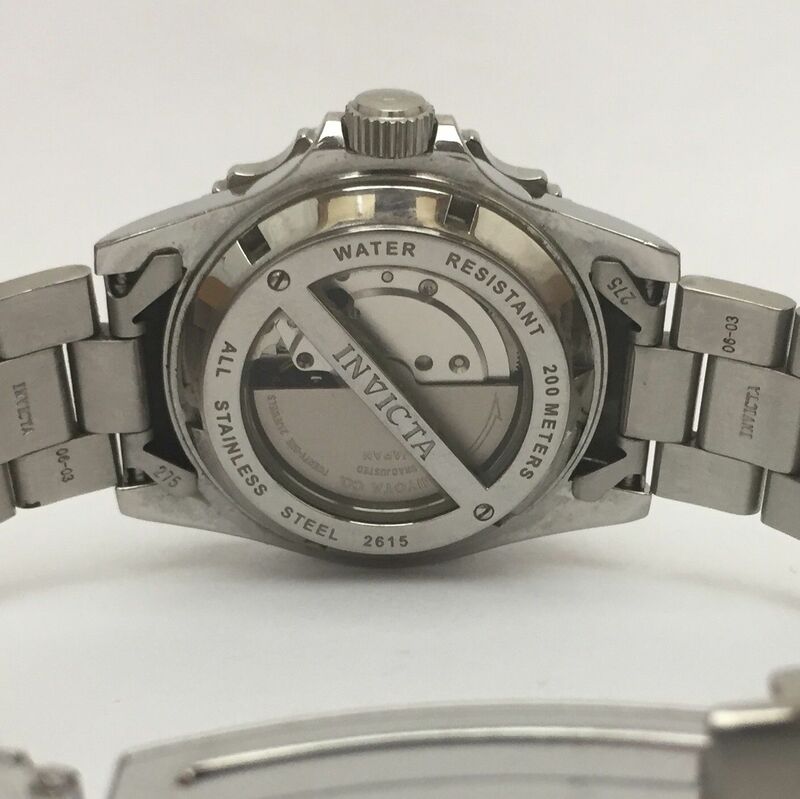 Do the numbers "06-03" on the bracelet end links indicate a date of manufacture? Does the number "275" inside the bracelet indicate a model number? 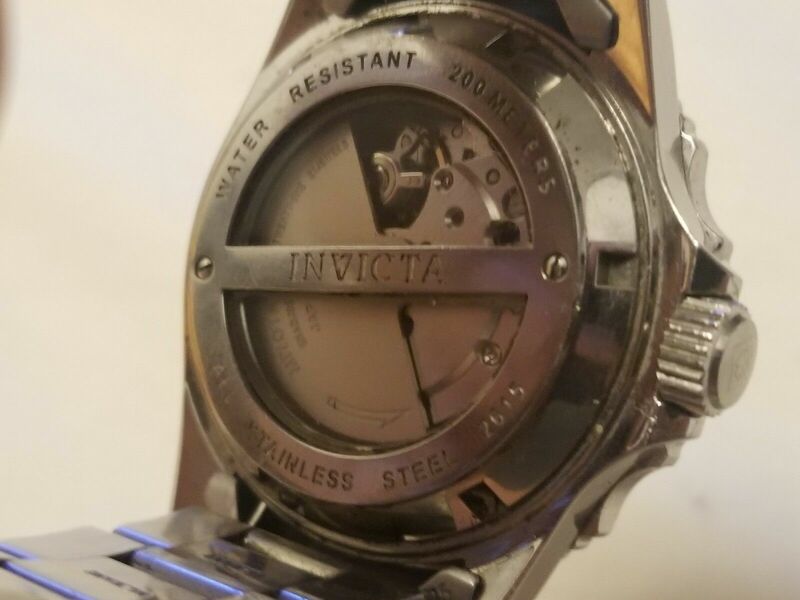 Just wondering,the bracelet on my 2018 Invicta 8928ob doesn't have any numbers on it at all. Last edited by Truetone; 04-08-2019 at 11:50 AM. 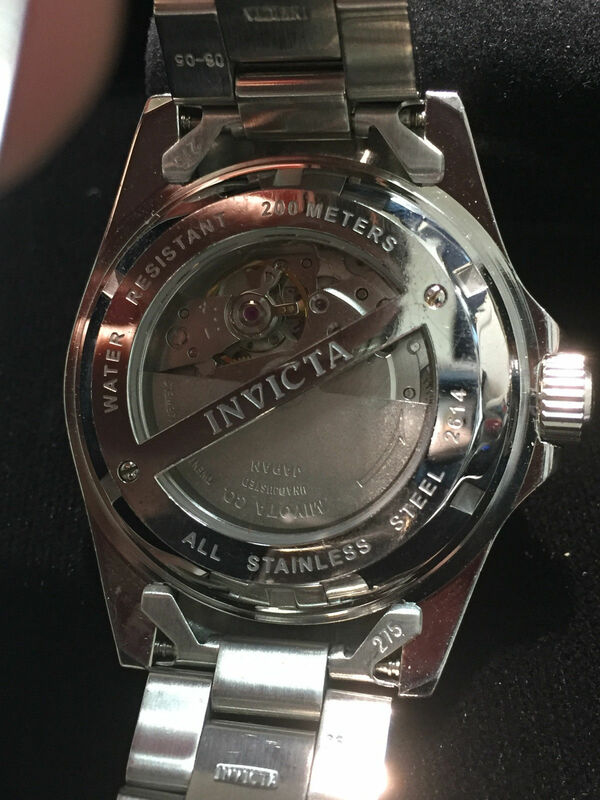 "Some Invicta PD models have a European style four digit date stamped on the end links between the lugs. The first two digits are the year. The second two are the month. I'm wearing a PD Abyss day/date automatic today. The date on this watch is 07/02. So it was assembled in February of '07." So my watch was made in March of 2006. Not sure what the 275 indicates. These were nice watches back in the day. Today,at 43mm, these would be listed in Invictas ladies catalog.